Barrie personal injury lawyers are proudly serving the community and providing help and support for local injury victims. For years, Makaronets Law has been helping injured Barrie residents and their families get the compensation that they are entitled to. We have recovered millions of dollars in settlements and have won some of the landmark cases in Canadian law. Barrie personal injury lawyers are widely regarded as the experts when it comes to motor vehicle accidents, pedestrian accidents, public transportation accidents, motorcycle accidents, dog bites, and slip & fall accidents. Our lawyers have successfully won some of the most complex cases involving brain injuries, spinal cord injuries, orthopaedic injuries, and injuries resulting in chronic pain and psychological trauma. Your local Barrie personal injury lawyers work side by side with medical professionals who can substantiate your injuries and also offer effective treatment that will allow for maximum recovery. We are the local experts who get calls from other legal representatives for help and advice with complicated cases. We have been fighting for rights of injury victims at every level of court in Ontario and have successfully battled multinational corporations and recovered substantial compensation for our clients. No matter what the reason is for your personal injury, you may be entitled to compensation. If your injuries have restricted your mobility and you are unable to leave your home or the hospital, we will come to you. We offer a No Win, No Fee Guarantee, which means that you do not have to pay us until we win your case. 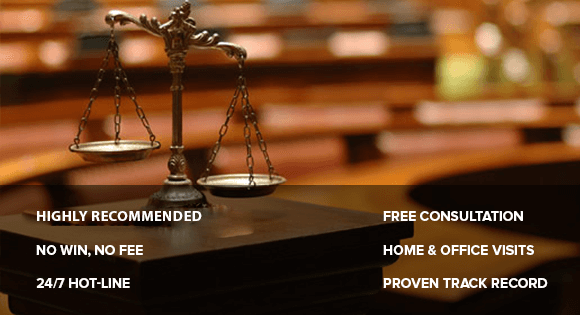 At Makaronets Law, we offer a no obligation assessment. We will advise you of your rights and ensure that you get all of the benefits and compensation that you are entitled to. Contact us today, and put the experts in your corner. Life can change in an instance, and we know it best. 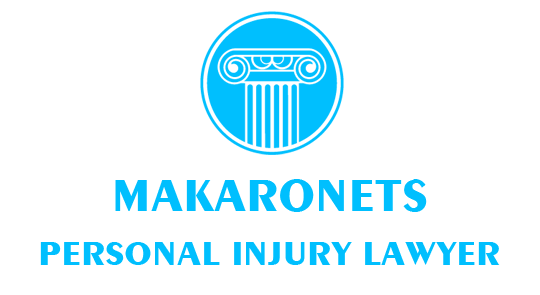 At Makaronets Law, we work with personal injury victims that have been in devastating accidents, some fighting for life, while others battling years of recovery. If you or a loved one has been in an accident, apart from medical assistance, it is equally important to seek legal representation by leading personal injury lawyers in Barrie. That is because you deserve the compensation for the physical and psychological trauma that you have undergone. Additionally, there is a stringent timeline for submitting a claim in court as per the Ontario laws. Thus, it becomes essential to file your case soon after the accidents such that evidence is validated faster. We care about our clients and understand your current mental and physical condition. If you are unable to meet us in our office, we make home and hospital visits. We stand behind you all through, till you receive maximum compensation for your trauma, loss of wages and medical bills. Helping people in the community for years, we have carved a niche in the legal area of personal injury claims. We know that whether the accident resulted in chronic pain or slight disability, your personal and professional life is affected. This is the reason that at Makaronets Law, our Injury lawyers in Barrie go that extra mile to get you the compensation that is rightly yours. Call us today to schedule a free consultation.